iStockphoto by PinkTagIf you want to make the evolution from pointing and shooting to creating art, one of the things you must do is master your camera. I'm talking the kind of mastery where you can pick up your camera in most situations and begin firing quickly without too much fiddling around. How do you do that? Practice when there's nothing at stake. Assuming you have some down time over the holiday break, here are 8 things you should learn about your camera. 1. Where does unacceptable noise begin on your ISO range? - Your manufacturer says your camera can shoot a wide ISO range, but you won't always want to do that. As you select a higher ISO setting, your images show more noise - bigger pixels. At what point in your camera does the noise become unacceptable? Take a series of pictures at progressively higher ISO settings and compare. Find out before it really matters. 2. Where's the sweet spot on your lens? - This is a similar concept. Your zoom lens has a smaller range that is sharper than the outer edges. Just because the camera says 70 mm - 300 mm doesn't mean it is sharp for that entire range. That inner limit where your lens performs best is generally referred to as your sweet spot. Do you know what that range is on your favorite lens? The only way to find out is to experiment. 3. What's the fastest way to change your settings? In many cameras, there is more than one way to change your metering, focus type, or white balance. If you are shooting and need to make quick adjustments, what's the fastest way to do it? You never know when you might need to react without thinking. 4. Should you calibrate exposure? - Is your camera consistently shooting over or under exposed? Are you always having to dial in exposure compensation? This might be a good time to grab a grey card and practice getting your exposure correctly. Your default might be 1/3 stop under or over exposed. 5. How do you adjust your flash? Yes, sometimes you will actually have to use your (gasp) flash. 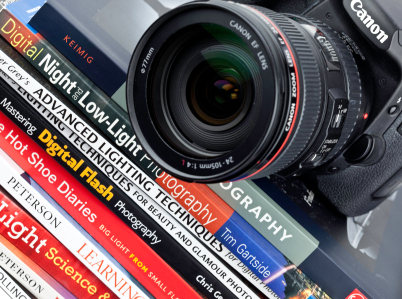 With most DSLRs, you can adjust how the flash fires - normal, red eye, or rear curtain - or with what intensity. Do you know where to make those adjustments? It's possible when you need them, you could be in the dark. Always good to know where to begin fumbling. 6. Do you have a reset routine? When you finish shooting for the day, do you return the camera to any default settings? Do you check those settings when you pick up your camera for the day? You might come up with your own “start” settings that will work if you ever need to grab and go. For instance, at the end of a shoot, you might return your camera to ISO 400, Aperture Priority f/9, Evaluative Metering, Exposure Compensation set to 0, and Auto White Balance. If you pick up the camera and run out in a hurry, you'll be set to get most basic shots. The last thing you want to do is start shooting and find that your camera is still in last night's extreme set up. Establish your own routine. Is it before the shoot, after, or both? When will you reset and what? 7. What’s your accessories routine? - When do you recharge your batteries? How frequently? What's the routine for the tripod plate? When do you empty your memory cards? Simple organization routines can help you from ending up on a shoot with a dead battery or full memory card...or worse yet, a tripod with no plate. 8. What's your workflow system? - What's your organization system for your pictures? It's been a while since we used a Dewey Decimal library system, but you will need your own version for your photos. As you collect more and more pictures, a good tagging and filing system will save hours of searching later. That's a good mindless exercise for a slow day. Knowing your tools is often a skill that makes the difference in your photos. When I was in the Army, we had to practice taking apart and reassembling our weapons so much that we could do it in our sleep. The Army believed the point you needed your weapon most was not the time to start learning its nuances. The same concept goes for your camera. Take the time to learn your camera when there is low pressure or expectations, like down time over the holiday break. When you’re shooting high impact events in 2012, everything should flow naturally.